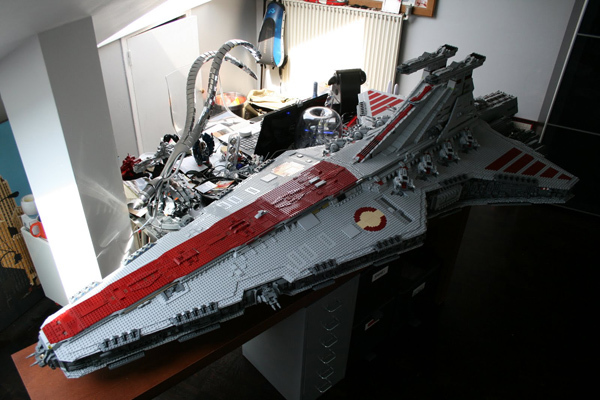 Holy...This 8 foot long, 180 pound monster is a replica of the Venator Class Star Destroyers, which was featured in the Clone Wars. 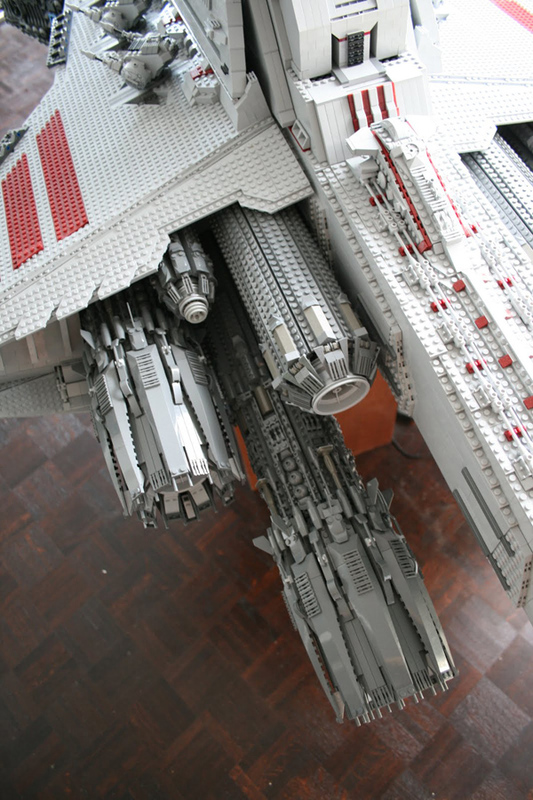 The detail, the craftsmanship and scale of this thing are just unbelievable. 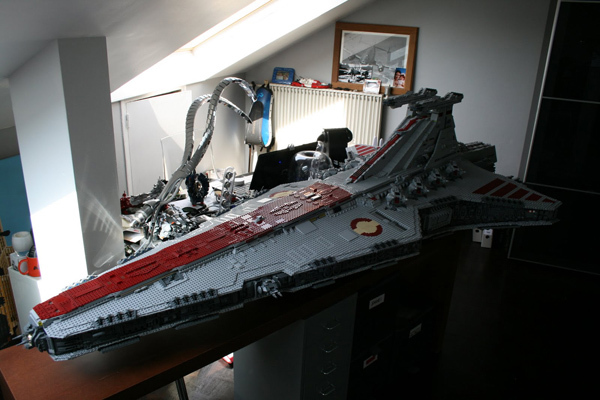 How much did this thing cost to make? 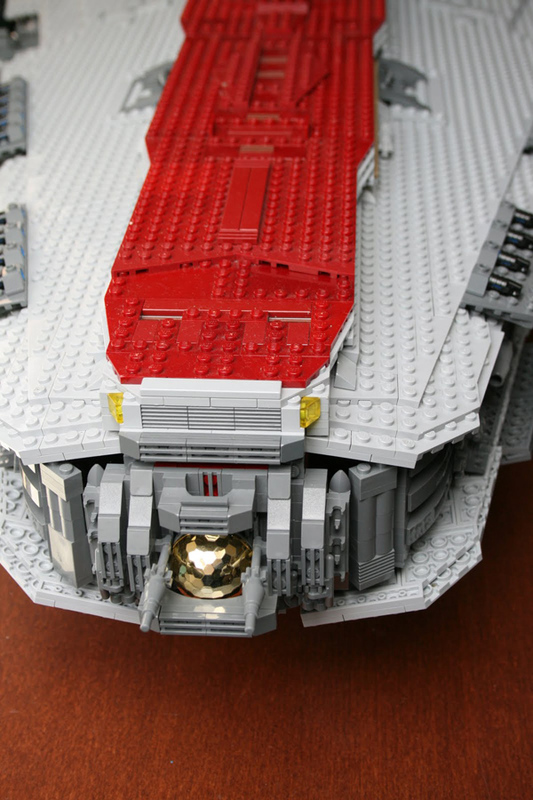 At an average price of .09 a piece per Lego (The average price per piece of Lego bricks), the total cost of such a piece would come out to $3870 in parts. 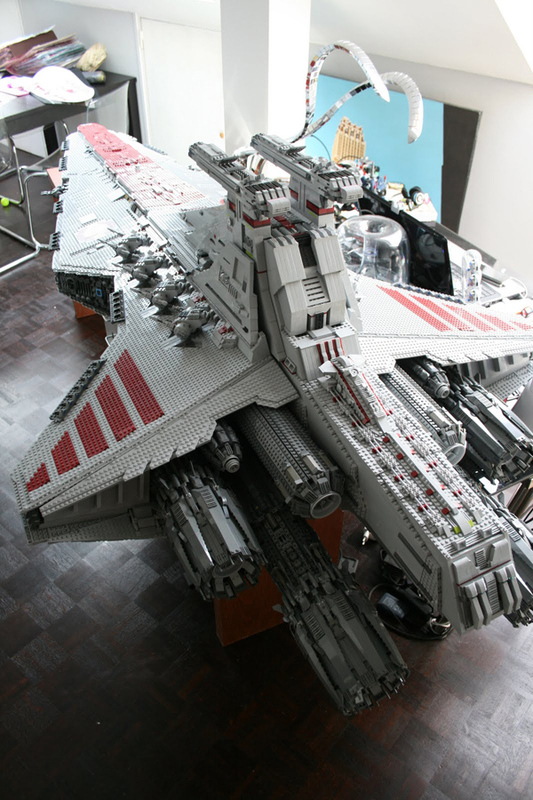 Our hats go off to you, Iomedes..When it comes to building Lego models, you don't f*** around. 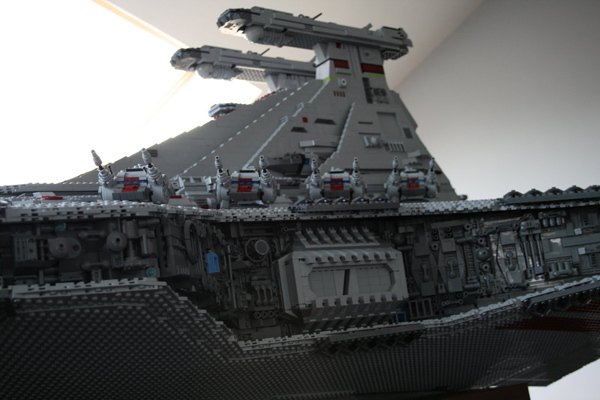 Check out some amazing detail shots of the ship after the break!